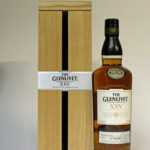 Hand crafted using only 6 of the finest handpicked botanicals - Black Scottish Highland juniper, green douglas fir, orange rose hip, white bog myrtle, green sweet cicily, green & purple spear thistle and pure Speyside spring water, by husband & wife team, Bob & Silvi Duncan. 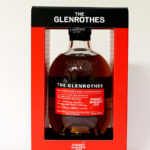 The distillery say this bourbon is aged and charcoal filtered for a smoother, more complex flavour and is a genuine sour mash. 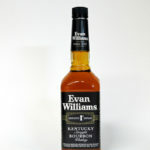 Evan Williams is historically recognised as Kentucky's first distiller of bourbon. 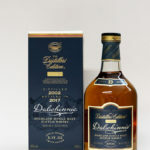 The Gordon Castle Gin has been produced for Gordon Castle in Fochabers using botanicals from their own restored walled garden. 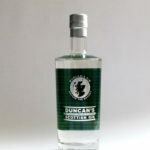 The tasting note from Gordon Castle for the gin is: The Gin is crisp elegant and refreshing with a lovely clean palate. 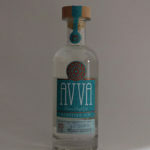 Subtle notes of lavender linger at the back of the nose and within the mouth. 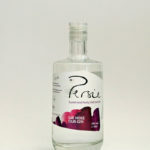 Garden mint and gooseberry come into focus on the nose and in the mouth helping promote the clean refreshing character. 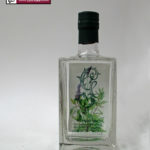 Warming herb notes add to the richness and complexity of the gin. 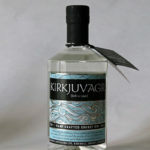 The distillery say this gin 'reflects the boldness of our seafaring Norse ancestors, the clarity of our seas and the purity of our air, Kirkjuvagr is an inspired islands spirit that's unmistakably Orcadian. They discovered a local legend that spoke of a variety of Angelica brought to the island by the Norsemen a thousand years ago and still growing wild on the Orkney island of Westray. This angelica is now one of the defining ingredients, complimenting a unique blend of local botanicals, including Ramanas Rose, Burnet Rose and Borage, all specially grown and hand-picked. 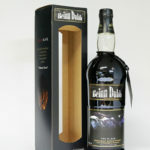 Also a traditional local bere barley creating a distinctive gin that's unmistakably Orcadian. 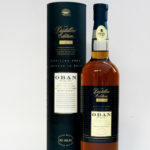 This Oban Distillers Edition was distilled in 2003 and bottled in 2017 and has been double matured in Montilla Fino Cask-Wood. 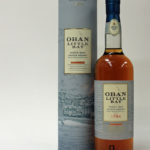 This Oban Little Bay is distilled in small batches and slowly married in the smallest casks for distinctively deep smoothness and fruity richness of flavour. 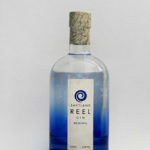 Shetland Reel gin is produced on the most northerly inhabited island in the UK at Saxa Vord Distillery. 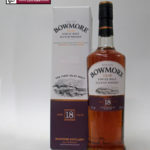 Each batch is carefully produced in the small copper still which was manufactured by the UK's oldest surviving still maker. 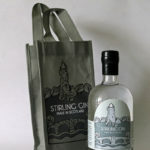 Using only the finest grain spirit and selected botanicals including , juniper berries, coriander seed, orris root, cassia bark, citrus peel and apple mint which is grown and harvested on the island the result is a premium gin in the traditional style with a unique Shetland twist. 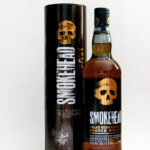 Intensely rich yet subtly sweet, Smokehead embodies a wild spirit and appeals to those with an appreciation for heavy, earthy peat. 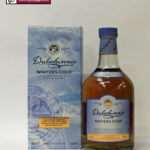 With immense smoke and notes of sea salt and spice, this is a vigorous whisky that stands out from the crowd.